Challenge: Like many other energy companies, Devon Energy, a leading independent oil and natural gas exploration and production company in North America, generates huge volumes of data. 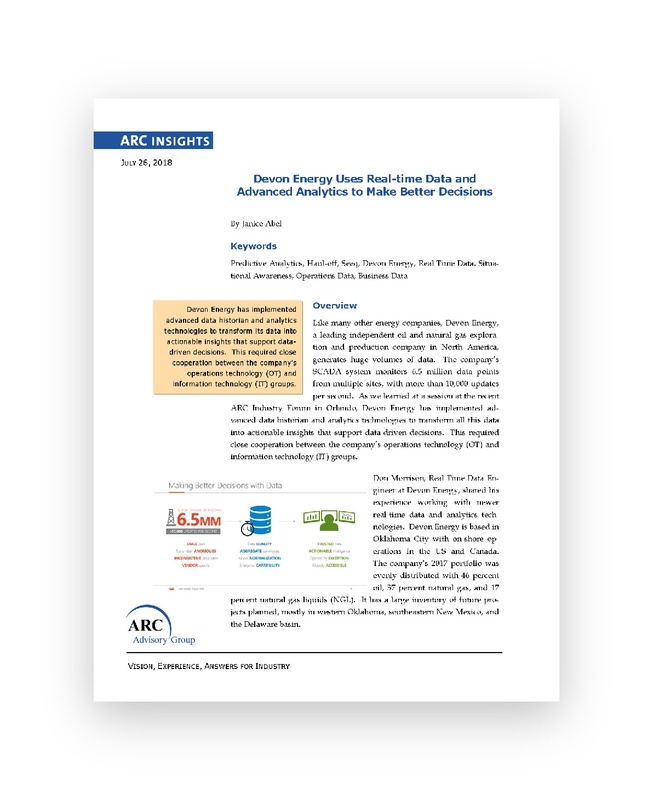 Devon Energy has implemented advanced data historian and analytics technologies to transform all this data into actionable insights that support data-driven decisions. This required close cooperation between the company’s operations technology (OT) and information technology (IT) groups. The data is used by both groups; including completions, drilling, and production using the Seeq application for a user-driven analytics experience.